For those of us who love the natural outdoors, when planning your garden’s plantings, you can be ecologically savvy and turn your garden into an avian paradise. Though birds face challenges year-round, cold winter days when food is scarce and cover is essential, present some of the greatest hurdles. Most birds rely on insect protein and fat during the spring and summer, so when the food supply drops during the winter months, birds that stick around switch to berries and seeds for most of their nutrition. Designing with seed producing plants can go a long way to supplementing your feeders- but only if you leave the seed heads intact through the fall and winter. Deadheading the flowers or mowing your grass in the fall will eliminate these valuable seed sources. Our birds are in trouble because we have not left enough rich natural habitat to support them. 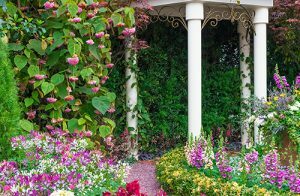 Let our design professionals at IVY Studio, a landscape design consulting firm in Massachusetts create your landscape design that is ecologically sound by including the plants that birds need. These efforts can contribute to saving a species!